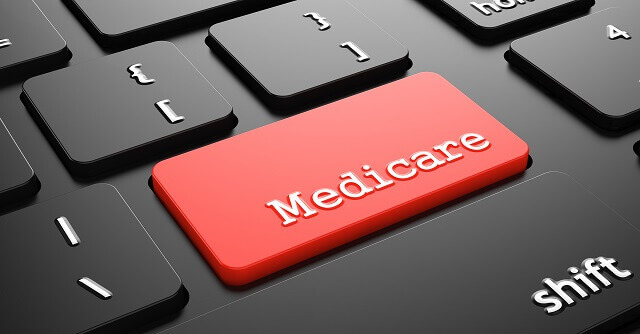 Medicare and Medicaid reimburse well for hyperbaric oxygen therapy devices and several business owners and providers have promoted the idea to beneficiaries. Unfortunately, however, the dispensing of oxygen devices is a decision of medical necessity that requires the authorization and order by a physician. Federal prosecutors, the Medicaid Fraud Control Unit, the FBI, and the Office of Inspector General (OIG) are currently scrutinizing providers for (1) allegedly overprescribing medically unnecessary devices and for (2) dispensing oxygen therapy machines without valid prescription. Oberheiden, P.C. Is a Medicare and Medicaid Fraud Defense Law Firm with Experienced Defense Lawyers. Free Consultations. If you are worried about an investigation or have questions about Medicaid or Medicare rules and regulations, please do not hesitate to call us. You will not speak to junior lawyers or secretaries. Our mission is to serve you like family and senior attorneys will take their time to answer your questions and concerns. There are essentially two ways to find out that you are under investigation for Medicare or Medicaid fraud, the soft one and the hard one. The soft approach is when you receive a letter from CMS or an intermediary either informing you that you are an outlier when it comes to oxygen devices. The hard approach, increasingly applied, is when you come to your office and you see dozens of federal agents and police officers searching and seizing your office based on a federal search warrant. Either way, from the earliest moment of knowing or believing that you may be on the government’s radar, you should contact Oberheiden, P.C. to find out how to protect your license, your reputation, and your assets. Under Ohio Medicaid Code 5160-10-23, pulse oximeters are a covered medical equipment item eligible for reimbursement when used in a personal residence as an alternative to hospitalization to manage the care of oxygen dependent recipients. Home pulse oximetry is covered when used to monitor oxygen saturation in order to determine appropriate supplemental oxygen levels. Under Ohio Medicaid laws, prior authorization is not required for non-invasive pulse oximeters; however, pulse oximeters do require a physician order in order to determine medical necessity during post-payment review. According to Ohio Medicaid Code 5160-10-23, only a physician, a physician assistant, a nurse, or a DME provider may supply pulse oximeters. Payment for a pulse oximeter can be made only if a prescriber certifies that the oxygen is medically necessary for an individual. A completed certificate of medical necessity (CMN) must be signed and dated by the prescriber before a claim is submitted. The default form is the ODM 01909, “Certificate of Medical Necessity: Oxygen.” On the CMN, the prescriber must specify an estimated length of need (certification period), which may range from one month to a lifetime. Indiana Administrative Code 405 IAC 5-19-2 and Indiana Code IC 25-26-21 define durable medical equipment (DME) and home medical equipment (HME) as equipment that can withstand repeated use, is primarily and customarily used to serve a medical purpose, and generally is not useful to a member in the absence of illness or injury. A pulse oximeter is classified as DME under the Indiana Medicaid guidelines. For all medical supplies and equipment (which includes pulse oximeters), the Indiana Health Coverage Programs (IHCP) requires a written order by a physician, optometrist, or dentist. Verbal orders, communicated by the doctor or other provider to the supplier, are permitted when appropriately documented; however, verbal orders must be followed up with written orders. Suppliers of DME must maintain the written physician’s order to support medical necessity during post-payment review. Indiana suppliers are responsible for ensuring that the written order contains the necessary information to complete the order. If the physician’s order lacks information necessary to accurately dispense the appropriate, specific DME, HME, and medical supplies, including type or quantity, the supplier must contact the physician’s office for written clarification. All DME sales require a physician order, regardless if Prior Authorization is required. Prior Authorization is not the same thing as a physician order. Prior authorization refers to additional documentation submitted relating to a reimbursement request. Pulse Oximeters do not require this additional submission of information but do require a physician order to be sold in the place. The defendant falsely subscribed to the return, statement, or other document willfully, with the intent to violate the law. A defendant convicted of health care fraud under 18 U.S.C. 1347 must expect severe penalties. Pursuant to Title 18 of the United States Code, a defendant guilty of health care fraud will be ordered to not more than 10 years imprisonment per count, a term of supervised release, criminal fines; asset forfeiture, and a mandatory special assessment. The rule is that the higher the alleged damage to the government or insurance program, the higher the penalties. Speak to one of our lawyers today and get a free assessment of your exposure and have a discussion of how to mitigate or fight charges. Oberheiden, P.C. offers clients nationwide service. Our mission is to defend those unjustly accused of fraud and our focus is to help business owners and health care professionals maintain their license, their good name, and their ability to make a living. When you work with Oberheiden, P.C., you will be represented by a team of partner-level attorneys who are profoundly familiar with your industry and can thus help you competently and instantly. Contact us today.